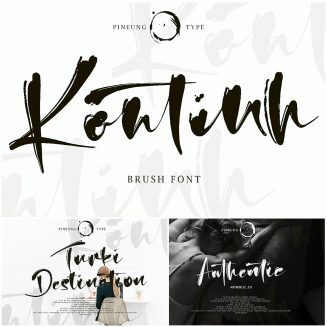 Kontinh Brush Handwritten font style, this font will perfect for many different project ex: quotes, logo, blog header, poster, banding, fashion, apparel, letter, invitation, stationery, etc.. File format: .otf, .ttf Photoshop or other software. Tags: brush font, cursive, handwritten font, logo font, modern calligraphy, poster font, script, signature, swash.